My poster for Regine’s talk. 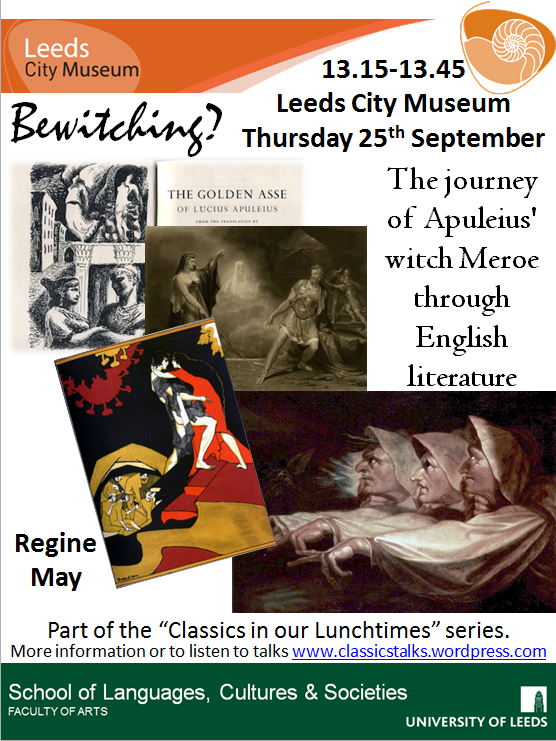 The last talk of the 22013-14 academic year was by Regine May, expert on the ancient Latin novel, who explored the influence of Apuleius’ witch Meroe by tracking down her reincarnations in English literature. Meroe was revealed as a reference point and quintessential “witch for all ages”, with adjustments to her characterisation revealing contemporary popular responses to witchcraft in different periods – including our own.